Tis the season to neglect the blog. It's been almost a month since my last post and honestly, it feels like a week. Really! I went to Target the other night, did all my shopping, went to the register and then realized I didn't have my wallet. I came VERY close to my first holiday meltdown, but I'm proud to say that I held it together (for the most part). 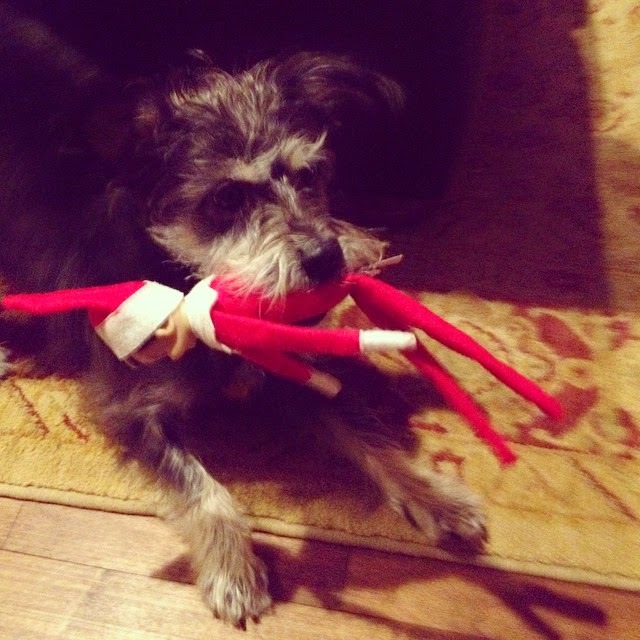 Sparkee snatched Zart, our Elf, from the Christmas tree the other evening. It made for a good laugh, after the initial panic from the kids. About a month ago, Victor and I went away for the weekend. Thank you to my mom and dad for not only sending us away, but for taking our family for us for the weekend. We stopped at the beach during our stay and it was still beautiful, even in the off season. Lifeguard chairs tipped over are a little sad though. So much of life, it seems to me, is determined by pure randomness.